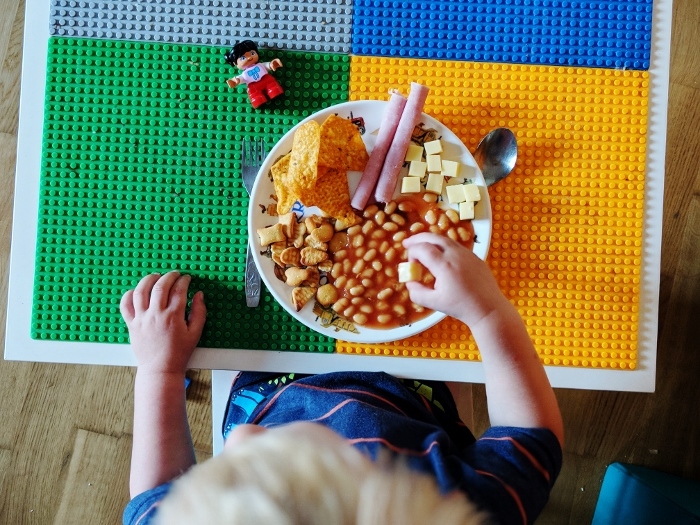 Henry isn’t the worst eater, I know he eats EVERYTHING at nursery, and is pretty good for Breakfast and Dinner, but all things in between can be really hit and miss, and that does include dinner times too. We have some great days, and some not so great days, and some days where I really question whether he’s actually going to gain anything from the food he’s eaten at all? Most of the problem with a fussy eater is the guilt for the parents. Are they getting enough vitamins and nutrients. Is it going to affect their bodies and their mind. All you want is the best for them, but reasoning with a toddler is like trying to get blood out of a stone. And if your toddler is as strong willed as mine, then you really aren’t going to change their mind once it’s made up. It’s both a great thing, and highly frustrating. As a disclaimer, Henry was Baby Led Weaned at six months (he showed literally zero interest in food prior to six months), and has always been a bit of a mixed bag when it comes to food. 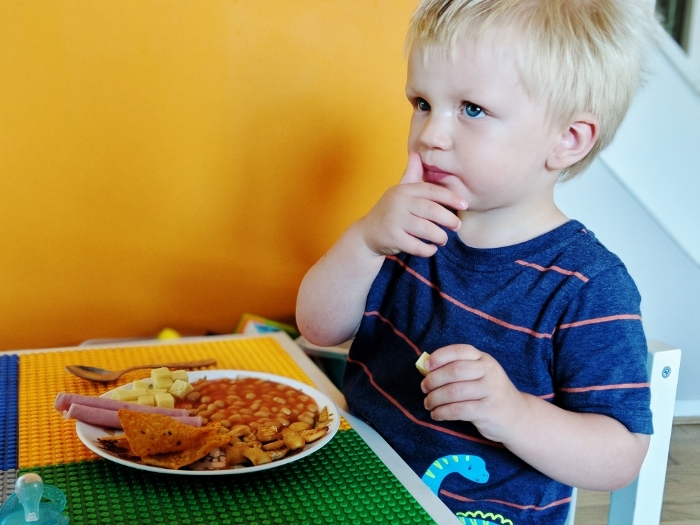 Like me, he seems to be more of a grazer, than wanting big meals, but he has pretty much always been a great eater when it comes to nursery. However, we are seeing some improvements at home, so I thought I’d share where we’re at. This I think has been pretty key with improving food consumption in our home. We try hard not to show frustration or stress when it comes to meal times. Sure it is hugely annoying when you can clearly see that the dish of food you’ve just served up is more than likely going to be going straight in the food bin, but not showing it has really helped make it less of an issue. We don’t focus on the food. If he wants to eat,great, if not, then we try to ignore it. Another key one, especially for dinner time, and one we’re working on for lunchtimes which are now becoming the more tricky meal. We went through a phase of eating dinner after Henry had gone to bed as Henry was showing less and less interest in meals with us. We then decided to switch back. This seems to be working again. He sits in a normal chair with us and eats the same meal as us. 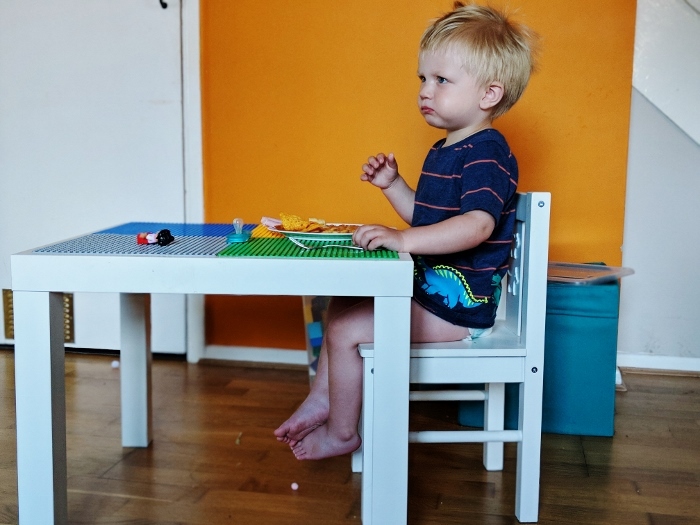 Often he eats all the meal we have cooked, though there is a lot of getting up and down, and moving around the table, but he is eating, so we’re going with it for the moment, and will address the actual sitting once we have the food intake sorted. If we’re not all at the table together, especially now Dexter is here, we set him up on a little table in the living room where he can sit and eat comfortably. I also find this helps with the worry of wasted food. 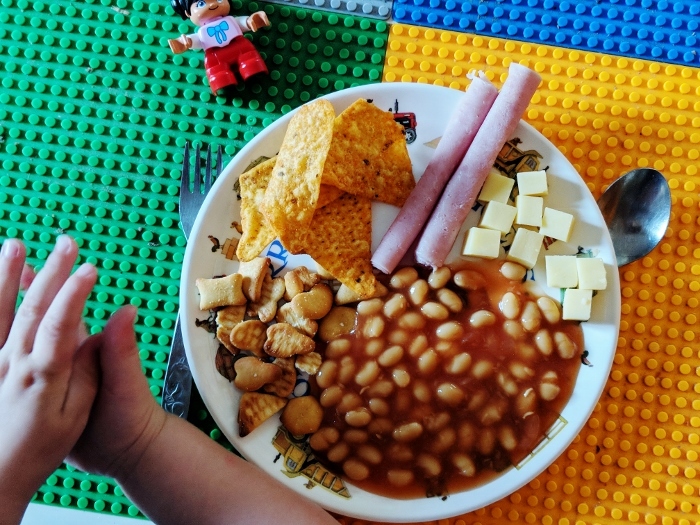 Usually we cook bigger meals that can be turned into lunch for Dann to take to work the next day as well, so anything that Henry doesn’t eat goes with this. Think pasta, curries, noodles etc. We try to make sure Henry’s snacks, particularly at home are healthy where possible. We try for breadsticks, fruit, veg sticks etc, and although we aren’t 100% successful, we at least feel that we do get some goodness in him. We also like to make smoothies packed with fruit and veg, which are really handy on days where the rest of his food has been less than nutritious. Not necessarily with the actual food. We prefer to give the option of food or going to bed. As both lunch and dinner is before a nap or bedtime respectively, he is given the option to eat what we have provided him, or he can go to bed. 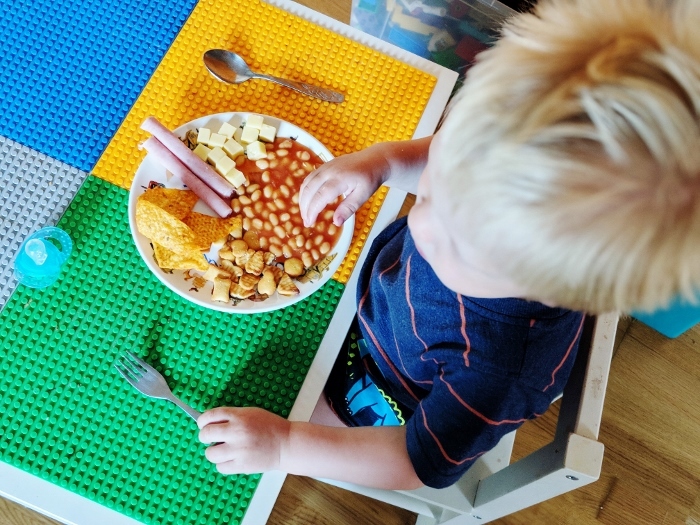 I’m a firm believer that if he’s hungry enough, he’ll eat, because I know he eats pretty much everything at nursery, so if he chooses bed, then he probably isn’t that hungry. Particularly for dinner, this has lead to much improved meal times, with him choosing to eat rather than go to bed. However we also find giving him a mix of different foods on his plate does also help. Lots of different flavours and textures means his less likely to get bored and not want to eat. Fortunately we have always had good breakfasts with Henry. Most likely because after being asleep all night he is hungry when he wakes up. He’ll usually eat 1-2 Wheatabix with milk in the mornings, and we try to chuck in some extra fruit snacks. Starting the day well is really important, and should help alleviate any worries for food for the rest of the day. We found that proper mini metal cutlery works best for Henry. He just does not like kids plastic ones except for spoons for breakfast or pudding. We have a set from Poundland, and an old set of Dann’s from when he was a kid. 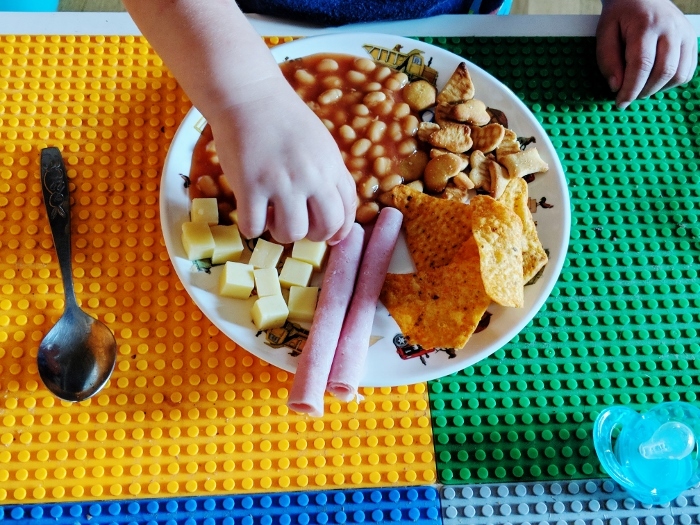 Of course, these may not work for every household, just as baby led weaning isn’t for every family. But they have worked for us, and have really helped take some of the stress out of meal times, especially in the evenings which was our biggest struggle. 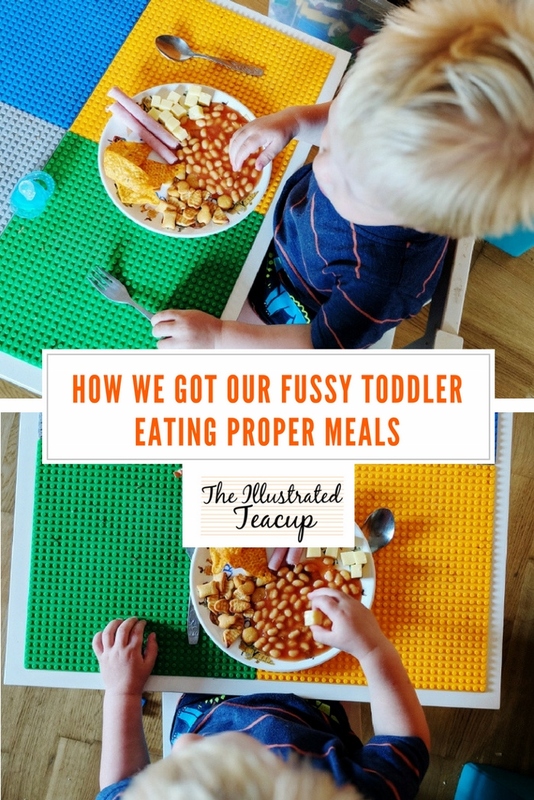 Do or did you have a fussy toddler? What works for you? "Henry’s first month vs. Dexter’s first month"
Proper metal kids cutlery really worked for us too, otherwise she's spend the entire meal trying to take ours from us. We got some from IKEA and they're perfect. We've always eaten meals as a family, and when my husband started working later and missing dinner, E didn't eat as much. Hopefully we're back on track now. I find getting veg in her is so hard unless I sneak it in, but bizarrely she loves olives. I just take it really easy and not stress about it as she'll see that and react.